The inaugural meeting of Dehong Volunteer Association was held in Mangshi on the afternoon of May 15, 2014, and Zhao Yingyan was elected as the head of the association. 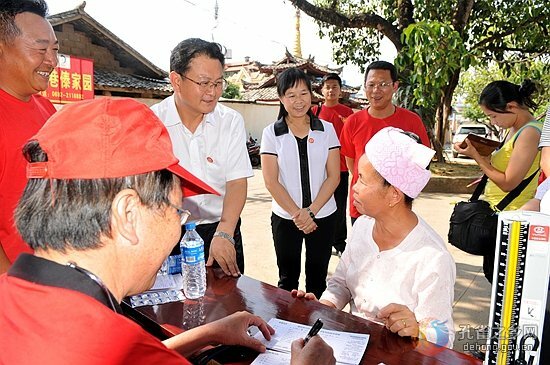 As an non-profit social organization engaging in public welfare undertaking, Dehong Volunteer Association is formed voluntarily by volunteer service organizations and volunteers from Dehong. With more than thirty thousand registered volunteers, the association is composed of 12 service teams responsible for youngsters, the aged, women, environment protection, popularization of science, road civility, culture, hygiene, education, training of cadres, explanation of laws, anti-drug and AIDS prevention. 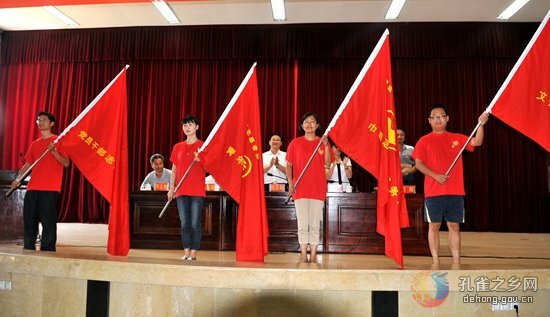 Under the guiding of core socialist values, the association, based on the volunteer spirits of “devotion, friendship, mutual helps, and improvement”, will actively provide voluntary services which will push forward the cultural and ideological advancement of Dehong. 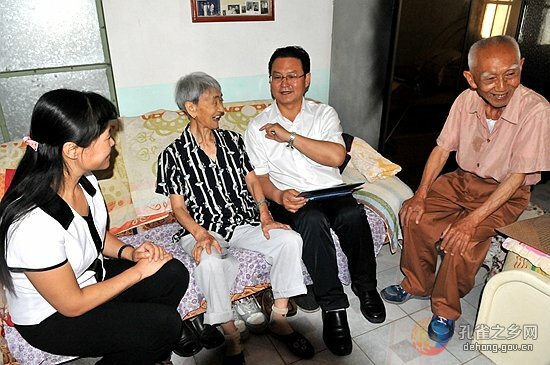 “As a public welfare undertaking, volunteer service is beneficial for our country and significant for social progress. 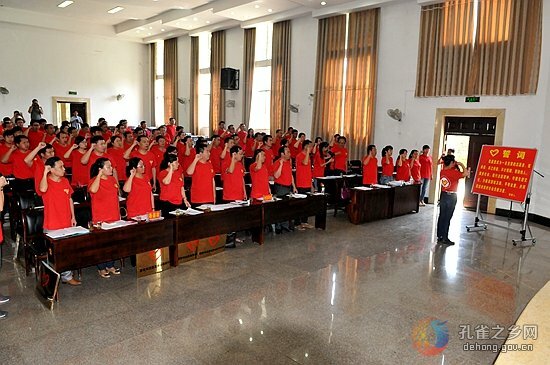 With high sense of political responsibility and historical mission, we should practically step up the institutionalized construction of volunteer service, carry out various service activities, improve service level and quality, and contribute more to the scientific, harmonious and great-leap-forward development of Dehong", said He Ruli at the inaugural meeting. Duan Lili, one of the volunteers, promised that keeping the volunteer spirits of “devotion, friendship, mutual helps, and improvement” in mind, she would encourage herself to provide more services for the people who are in need of help, and actively take part in voluntary activities concerning granting helps, environmental protection, road civility and so on. After the inaugural meeting, local government officials including He Ruli, Li Yanlan, Xiang Yang and so on visited Wukeshu community, Bingwu community, Dehong Welfare House, Dehong Special Education School, etc. and joined the voluntary services with volunteers who are working there.